LOOT!!! 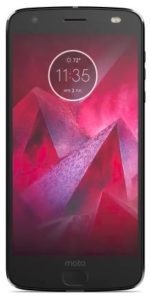 On flipkart, you can Buy Moto Z2 Force (Super Black, 64 GB) (6 GB RAM) at only Rs 19999 i.e. 42% discount. Also, get up to Rs 14900 off on exchange. Hurry up and order before the price goes up. How to Buy Moto Z2 Force (Super Black, 64 GB) (6 GB RAM) at only Rs 19999?